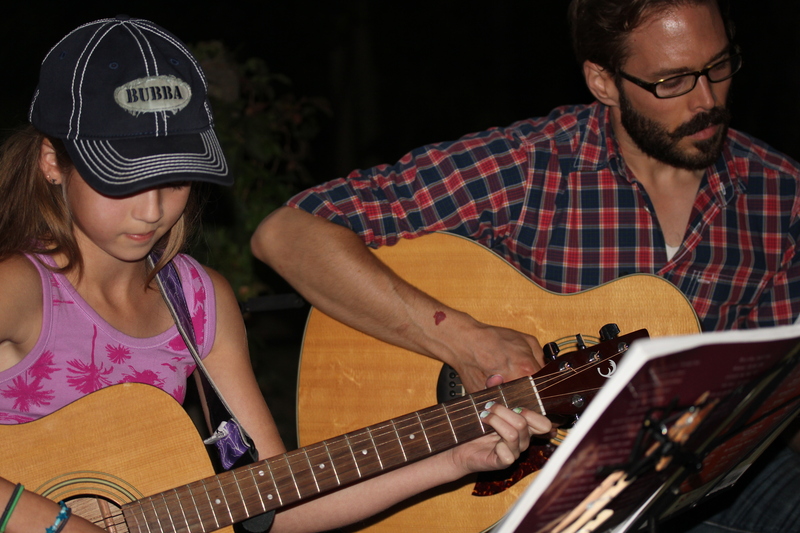 Join in with a musical instrument of any kind, or just bring a chair and kick back under the stars (or under the Seitz Family Pavilion roof) and enjoy yourself. 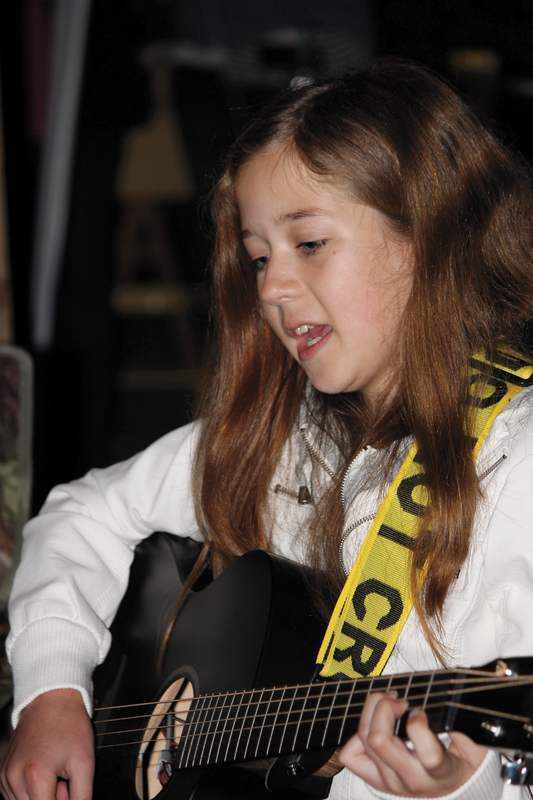 Last year’s line-up featured guitars, a ukulele, a sax, violin, and many voices. Free kazoos will be available, as will cider and cookies. There will also be a small silent auction of items made by local artists, with all proceeds to benefit The Quarry Farm Nature Preserve & Conservation Farm educational programming, trail maintenance and for the care and feeding of the farm animal sanctuary. People never cease to amaze. 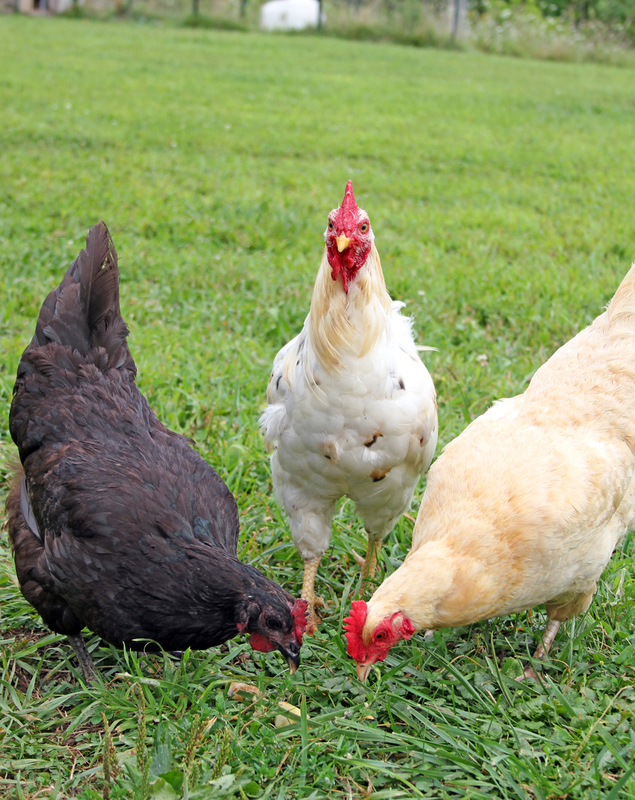 As a species, well, let’s just say that I often prefer to spend my time in the company of others (chickens being the perennial favorite). As individuals, though, there are so many who shine. I met three such last Wednesday: Becki and Mustaq Ahmed and their granddaughter, Kennedy. Not this weekend immediately past, but the weekend before, Anne and I set up at the Bluffton Farmers’ Market on behalf of The Quarry Farm. We really didn’t have anything much to sell – a basket of tomatoes, a dozen glass jars of jelly, some notecards – but farmers’ markets are great places to get the message out, to do a little self-promotion. And with the second annual Acoustic Night coming up (Saturday, September 13, from 6 pm to whenever), it seemed like a good time to make a personal appearance, be a bit more high profile. Becki and Kennedy were wandering through the market when they saw our table and picked up a copy of the latest newsletter. On Tuesday, Becki called and asked if we’d like some of her “small and knotty” apples. She’d seen that we ask for apples in our wish list and hoped that hers would prove acceptable. 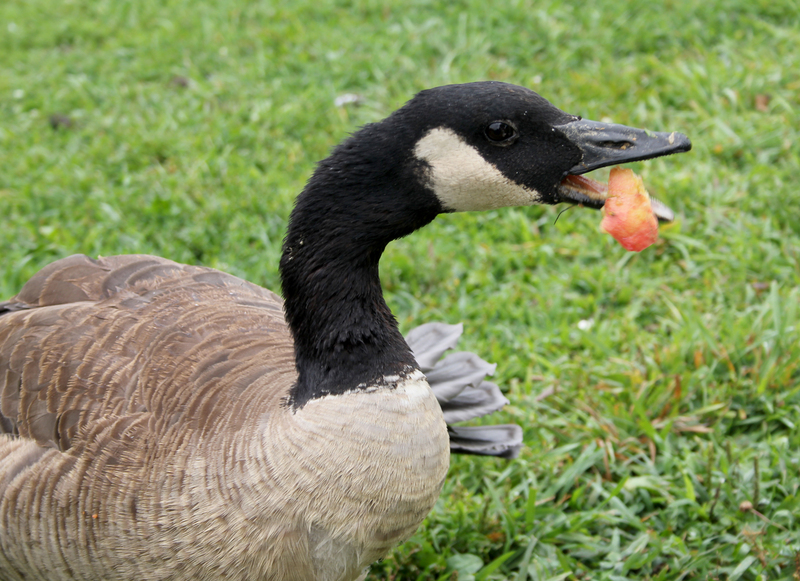 From my experience, I assured her, goats and pigs and donkeys and chickens and ducks and geese and turkeys aren’t the most discriminating of gourmands; so, yes, please, apples. She and her family came out the next afternoon with two large containers full of fruit. 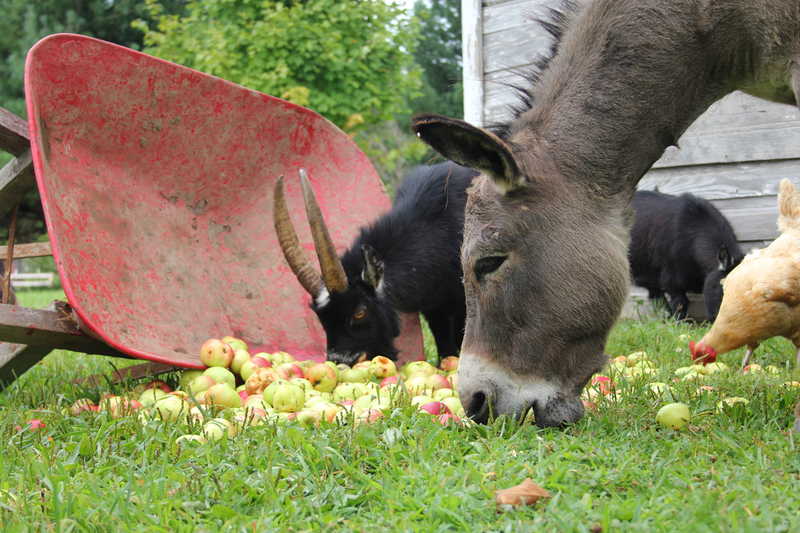 We off-loaded the apples, enough to fill a large, red wheelbarrow typically used to transport hay and straw. It was an excessively humid day, as many have been of late; while there was precipitation, it was more of a sky-dripping, really, than rain. The wet had most everybody under cover: the pygmy and Nigerian goats under the pines, the turkeys and chickens at the base of the crab tree and under what remains of the forsythia, the pigs in their various shelters. The ducks and geese were gamboling about, too overjoyed with the quality of the day to bother with anything as mundane as visitors. While we waited for the sanctuary residents to recognize their windfall, Kennedy, with Becki in tow, set out to deliver the good news and meet some of those about to benefit from their gift. Mustaq tagged along behind, photographing and filming their interactions. 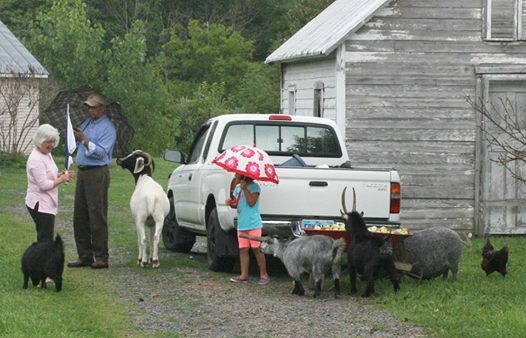 Mister Bill, a recently arrived Boer goat, was the first to discover the largesse. He set to with a will, scattering bits of apple and not-so-bits of apple in a wide arc before him. 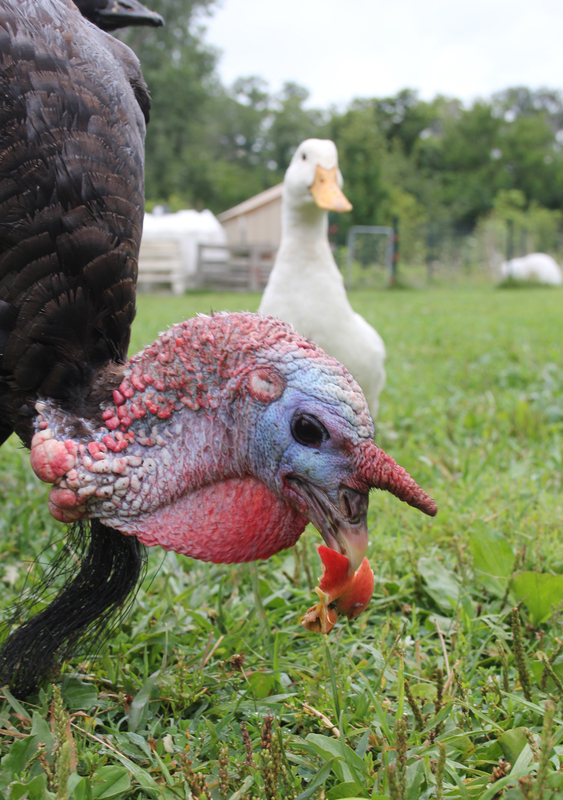 The geese and the ducks discovered the bits, which alerted the chickens and the turkeys, and they tucked in. 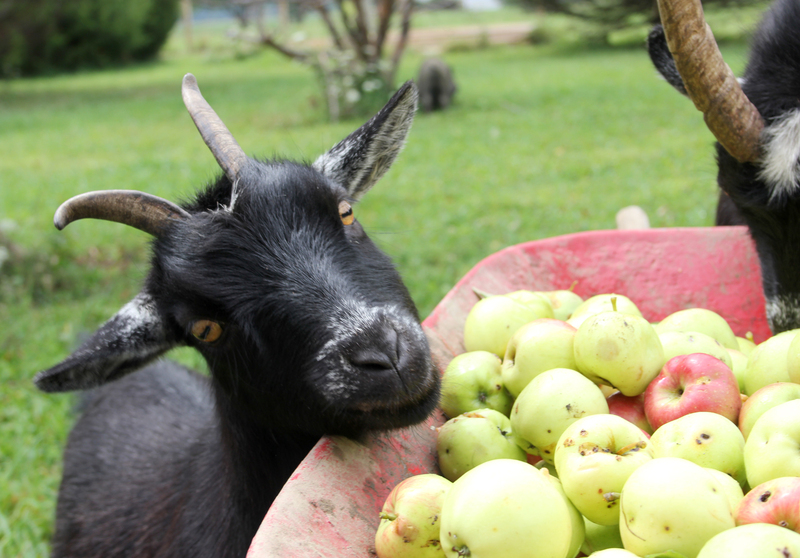 The pygmy goats followed the Ahmeds and Kennedy to the feast, where they stood on their hind legs, front feet braced on the edge of the barrow, and bobbed for apples. The three pot-bellied pigs rolled up next (three hours later, you could have almost literally rolled them away). 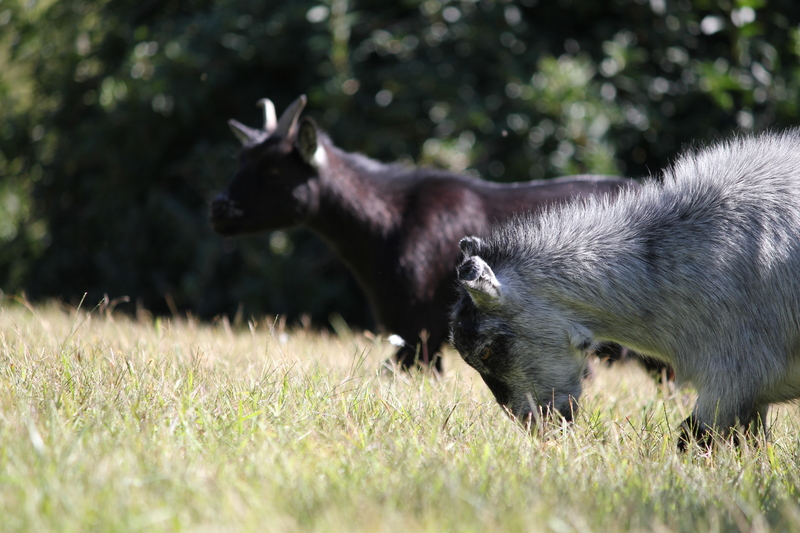 Finally, the two Nigerian dwarf goats and the miniature donkey caught wind of the event and made their way over. It wasn’t long before the wheelbarrow was on its side, the apples spilled across the ground, allowing everybody easy access and laying waste to the old expression, “Don’t upset the apple cart.” All in all, a most wonderful day. Thank you for that, Becki and Mustaq and Kennedy. From the bottom of our hearts, thank you. Hot off the printer, as well as an upload, is The Quarry Farm 2014 Summer Newsletter. 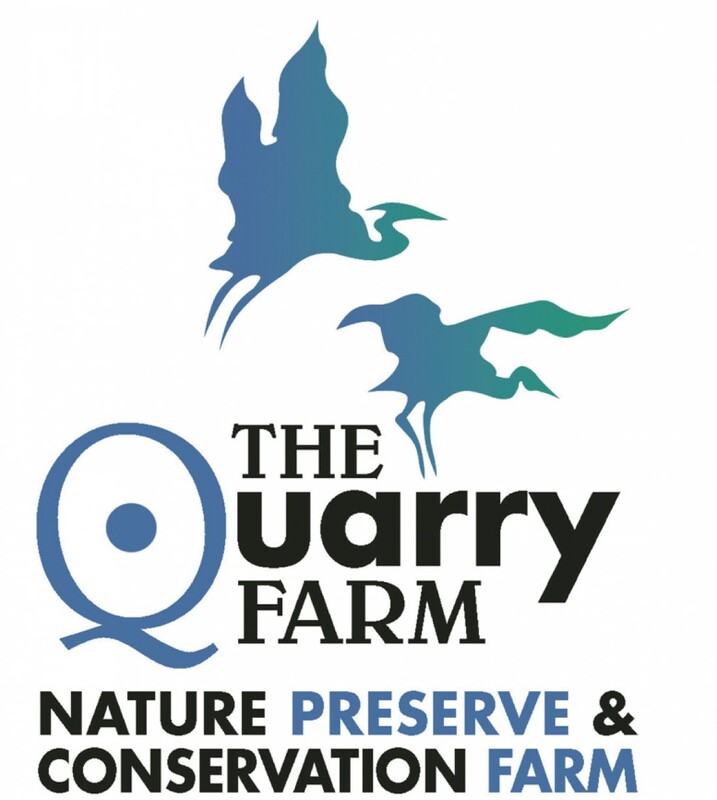 Lots to talk about, like the fact that The Quarry Farm Nature Preserve & Conservation Farm is a 501(c)3 public charity, and plenty of things coming up. Click on the cover at left, open and read away. Hope you are able to jump in on the calendar and see for yourself. It’s been nearly eight days since the Autumnal Equinox rolled around and in those intervening eight days, a lot has happened. 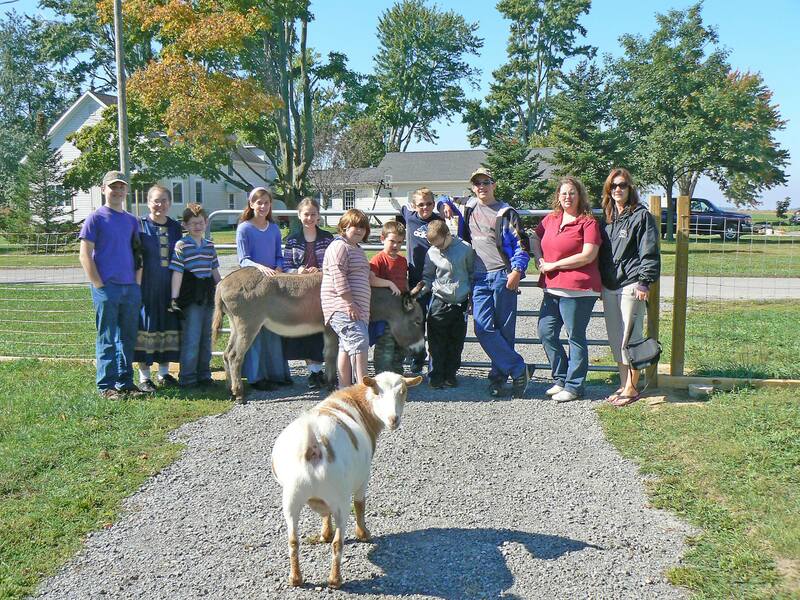 On Thursday past, some 70 home-schooled children and their parents/grandparents/guardians visited the Farm. 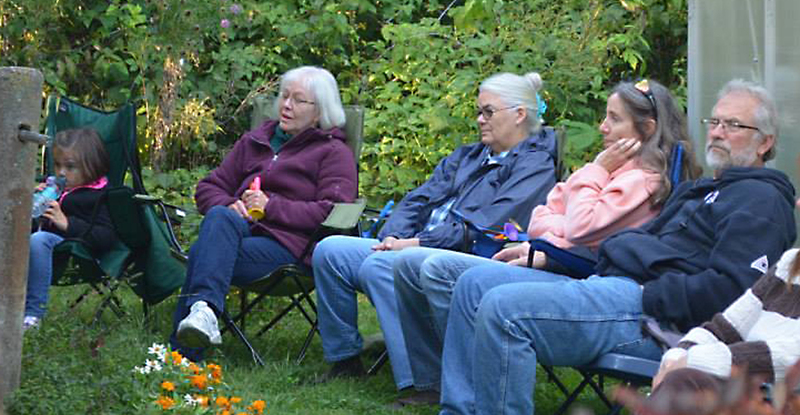 As with other groups that have come and gone, they made herb bundles, learned about the waterways around Ohio, got a peek at what lives down under the rocks and the mud in the creek that runs through the Quarry Farm on its way to the Riley and they met many of our two- and four-legged friends and fellows who live here with us. Beatrice has already worked out how to circumvent the fence, so she spent the morning visiting with the groups over by the cabin. Buddy and the goats stayed closer to home and were treated like royalty, which is as it should be. 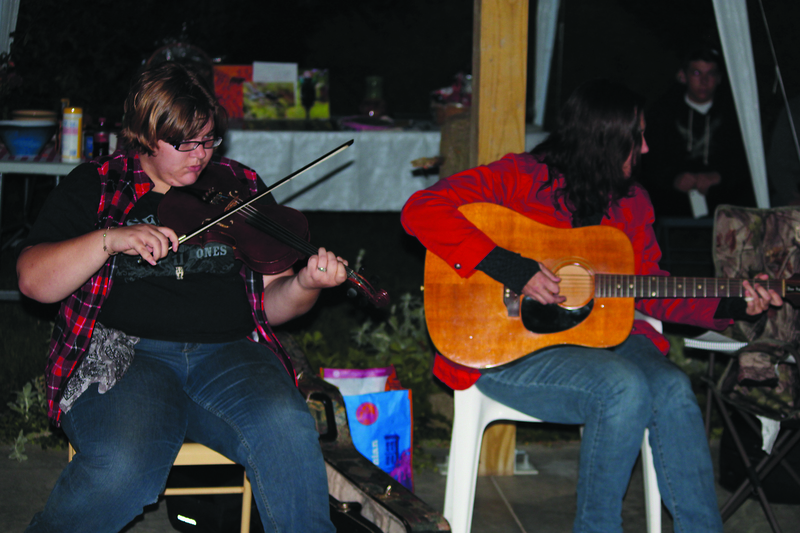 On Saturday, we held what we hope was the first of many acoustic nights. Friends and family met in Seitz Pavilion to listen to friends and family play and sing (and, yes, that’s a lot of friends and family). 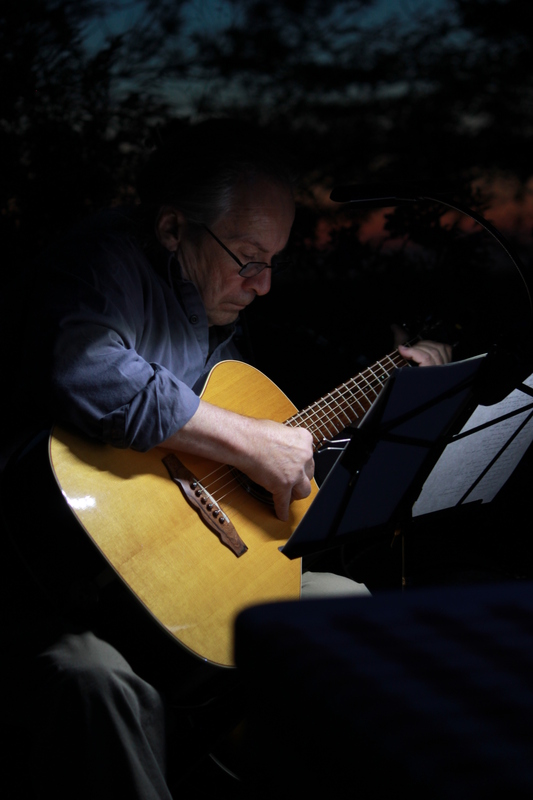 Thanks particularly to Erin Coburn (and Bruce and Beth, of course), Mark Gallimore, Brian Erchenbrecher and Doug and Merilee of 12-String Relief. If you missed it, we’re truly sorry for your loss.